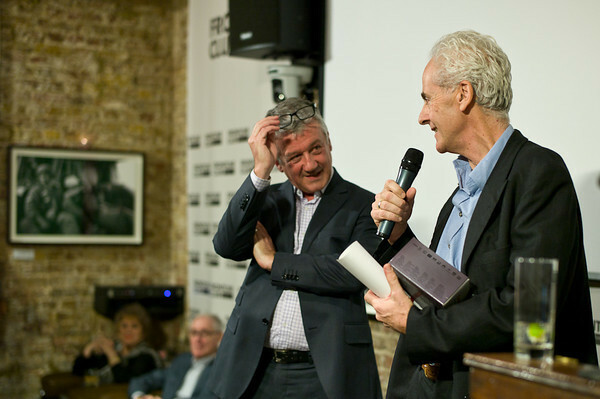 The Frontline Club Awards were presented on the 23rd November 2011 at the Annual Party. Nick Davies received the award for his investigation for the Guardian into the phone hacking scandal. Mathieu Mabin received the award for his camera work in Libya. Anton Hammerl, who was killed in the Libyan desert. Nick Davies thanks Frontline for his award.